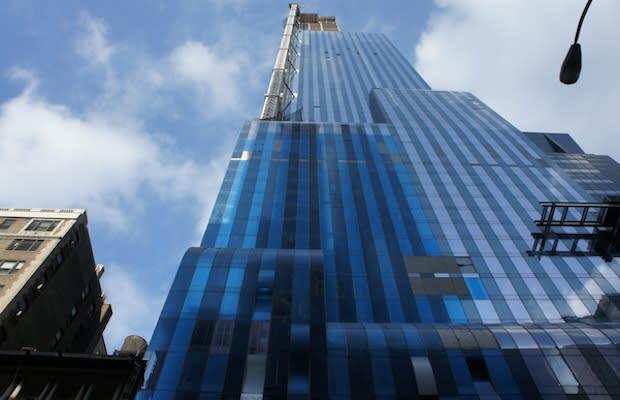 Back in October when Hurricane Sandy hit NYC, the construction crane at One57 partially collapsed, triggering an emergency evacuation of the neighborhood. Since then, the dangling boom arm of the crane has been removed and construction has resumed. A lawsuit is now on file with the clerk’s office and it is too early to tell who or what was exactly responsible for the accident. The city claims to have had sent inspectors to ensure the crane was properly secured prior to the storms landfall. Extell, the building’s developers claims no responsibility, and Bovis Lend Lease will likely try to pass their culpability onto the crane company. Here, we take a closer look at the building behind all the controversy.